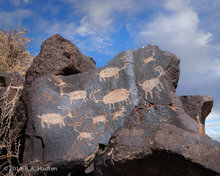 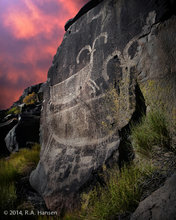 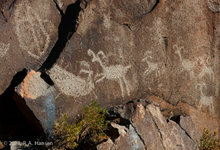 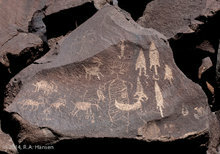 In 2009, Robert was commissioned to photograph the ancient rock art sites of Little Petroglyph, Big Petroglyph, and Sheep canyons on the U.S. Navy weapons testing base in Ridgecrest, California. 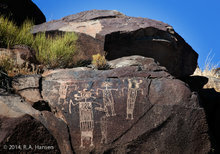 These ancient sites (1,500 to 16,000 years old) were accessed with the help of an archeologist and can only be visited with a special permit. 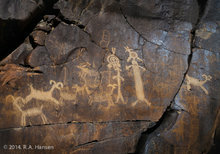 From his photographs, 36 large canvas murals were created for permanent display on the base; a selection of these is offered here for purchase as fine art prints.